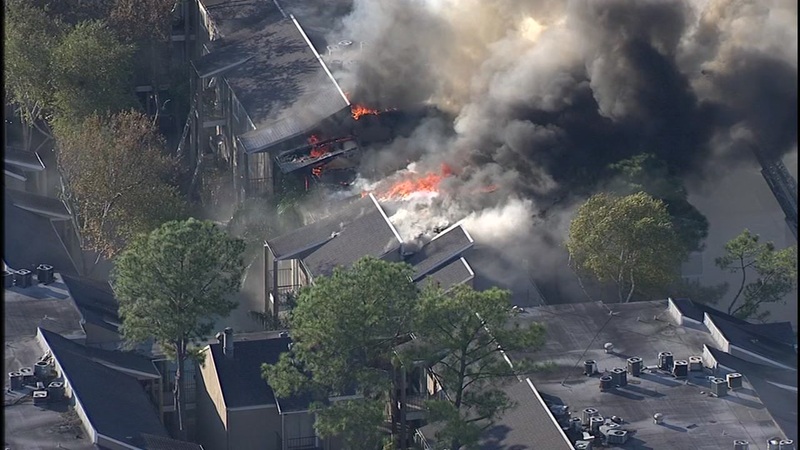 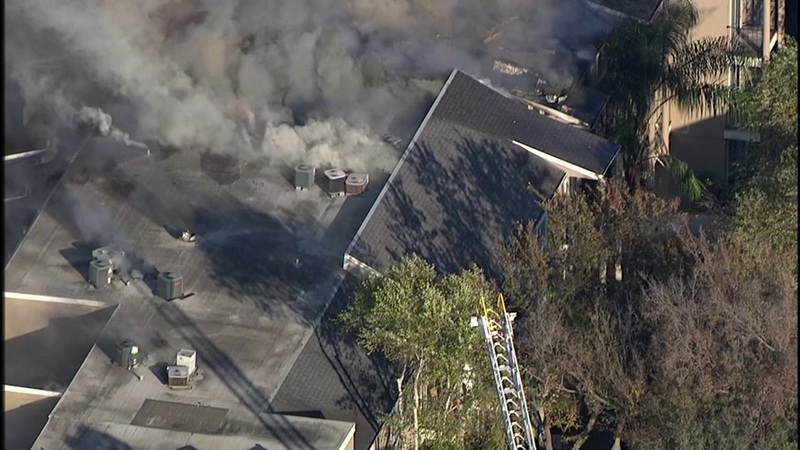 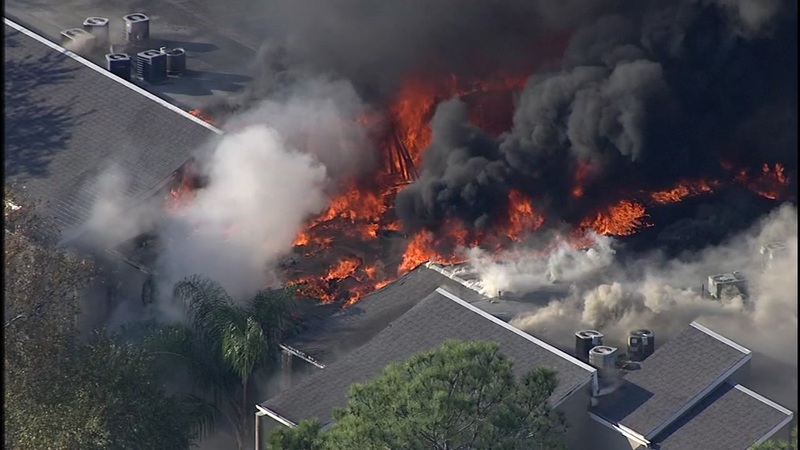 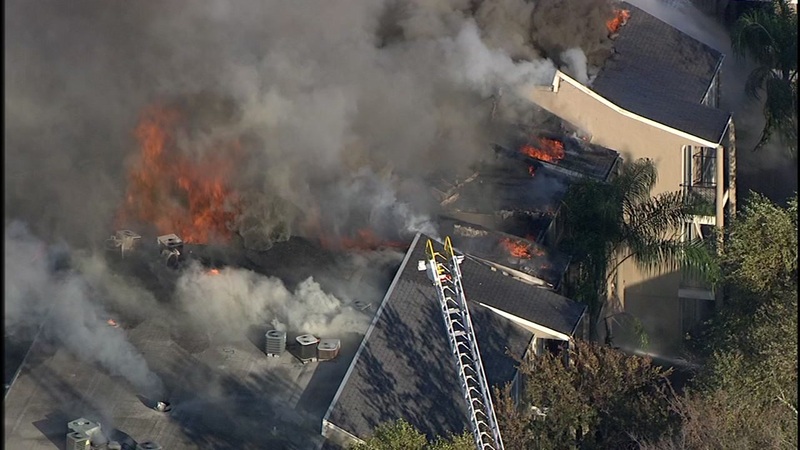 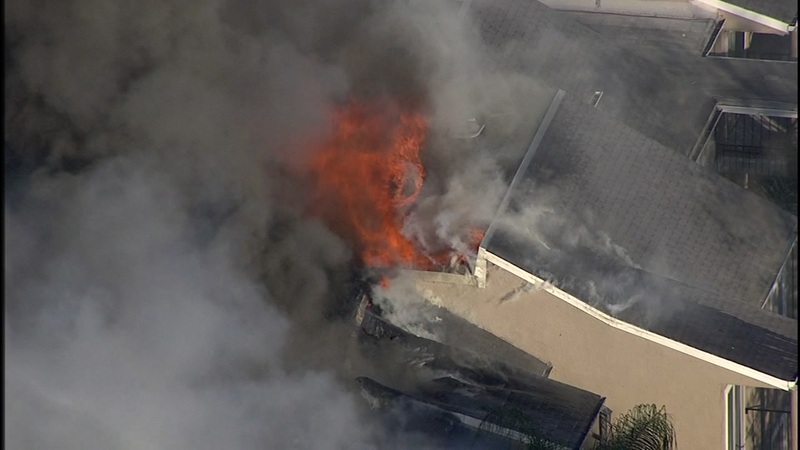 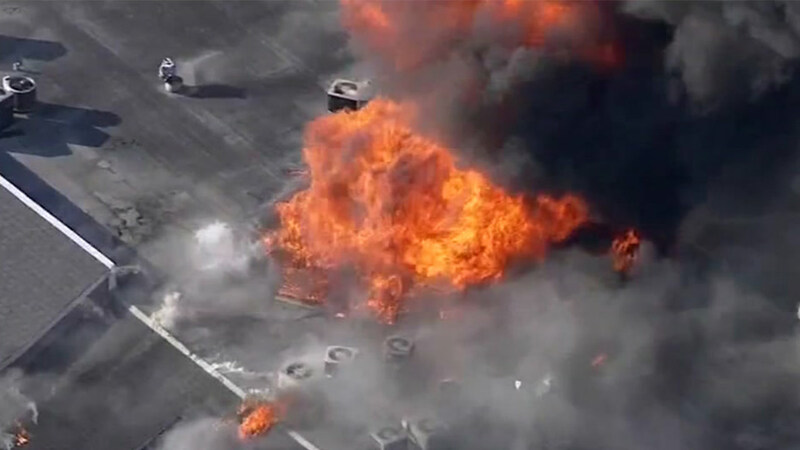 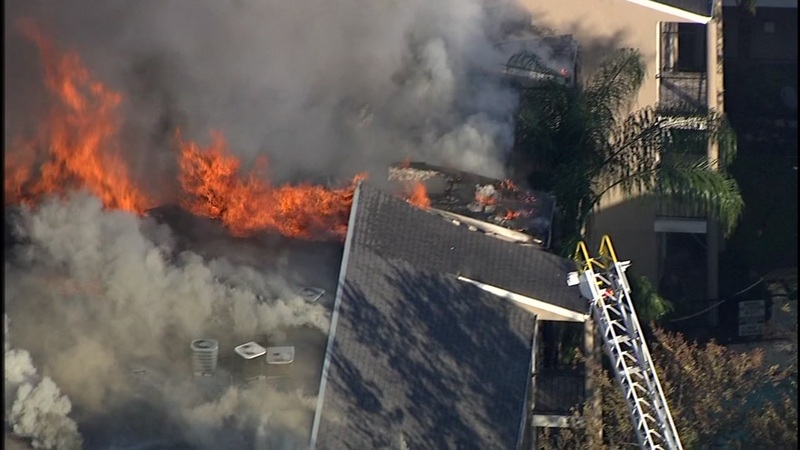 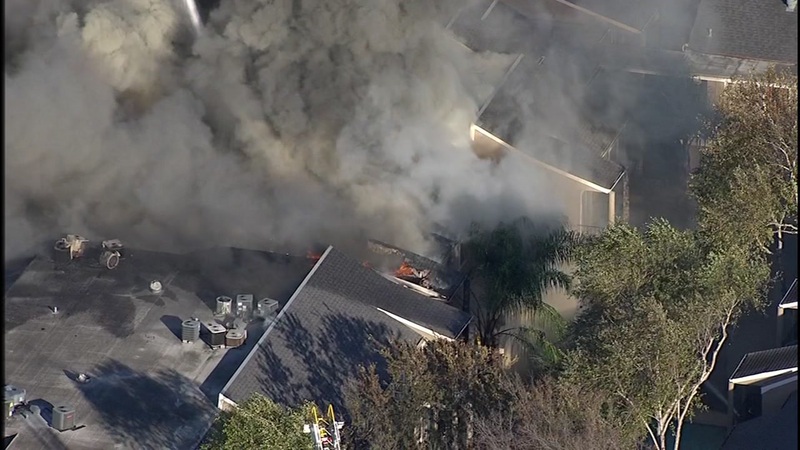 HOUSTON -- A massive four-alarm fire is burning at an apartment complex in the Galleria area. 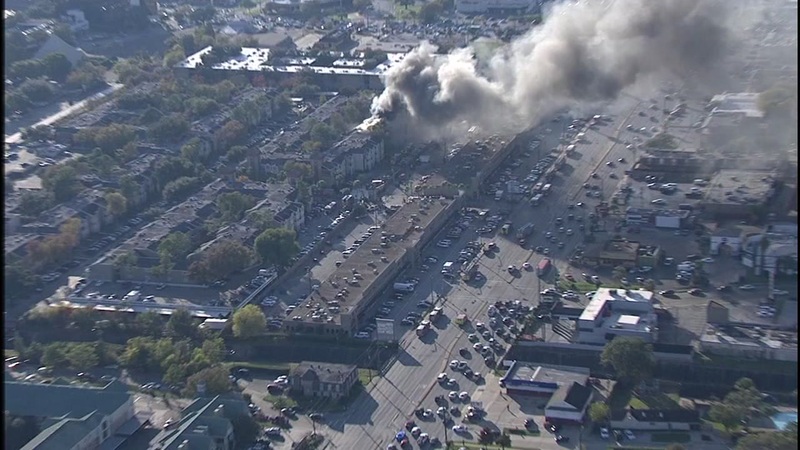 v It's happening at the Palms of Westheimer at 6425 Westheimer at Briargrove. 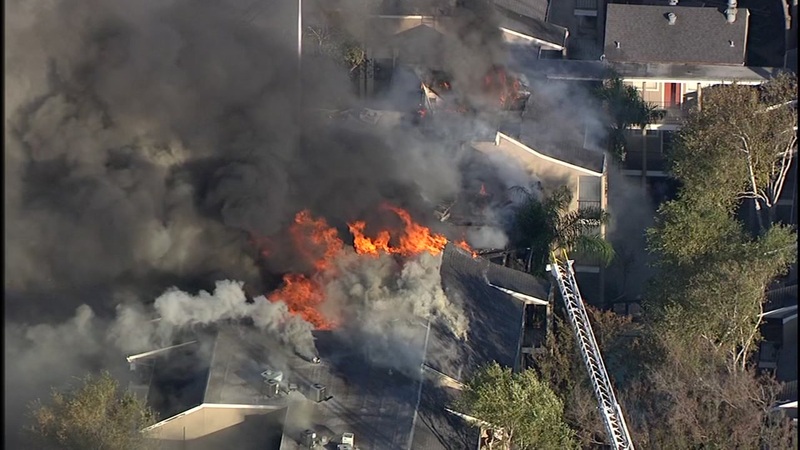 Buildings 18 and 19 sustained damage at the Palms of Westheimer at 6425 Westheimer at Briargrove.